Rebecca is an anthropological archaeologist with twelve years of experience in field archaeology and began investigations in the Andes eleven years ago. Her experience lies in excavation, survey, total station mapping, field and artifact illustration, ceramic analysis, and GIS, and she has participated in archaeological research in several countries around the world: in Peru, Argentina, Belize, Italy, the United Arab Emirates, and the United States...but her heart remains in the Andes. Rebecca is the director and principle investigator of PIARA as well as a doctoral candidate in the Department of Anthropology at Vanderbilt University. She has received funding from Vanderbilt's College of Arts and Science and Vanderbilt's Center for Latin American Studies to establish this research project in previous years, and more current fieldwork has been supported by the IIE Graduate Fellowship International Study (Fulbright-Hays) and the Philanthropic Educational Organization. Rebecca received a teaching award from her department in 2010 and enjoys teaching both in the classroom as well as in the field. 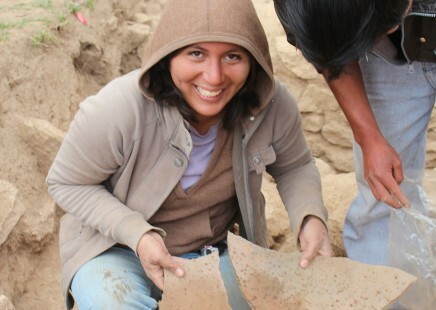 She will continue to lead the PIARA Archaeological Field School as a visiting professor at the Universidad Nacional de Ancash - Santiago Antúnez de Mayolo in Huaraz, Peru. Rebecca is very excited to work with so many new student collaborators this year and to continue to develop the community projects planned for 2012 and beyond. Felipe is the PIARA project co-director and is also the primary community liason at Hualcayan. 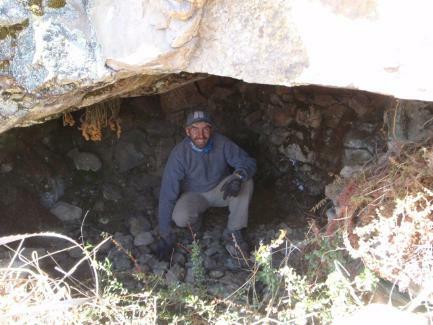 Felipe is a licensed archaeologist from San Marcos University in Lima, and has twelve years of experience in field archaeology within Peru, including extensive experience in highland Ancash working as a collaborator on several different projects in the region. His experience lies in survey and excavation methods as well as total station mapping, and his primary interests lie in the study of Recuay settlement patterns in highland Ancash. Elizabeth has nine years of experience in archaeology, focused on the regions of highland Ancash and the Central Coast of Peru. 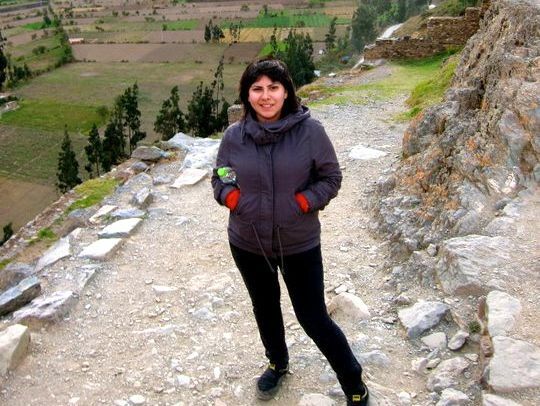 She is a licensed archaeologist from San Marcos University in Lima, is fluent in English, and in 2009 she was a curator for the installation of the new museum exhibition in Caraz. Elizabeth is an expert in the analysis, conservation and curation of a wide variety of ancient Peruvian material culture. She joined PIARA in 2011 and will continue working as the head laboratory instructor for the project. This season she will be helping students design and collect data for their final projects while instructing them in a variety of laboratory methods throughout the season. 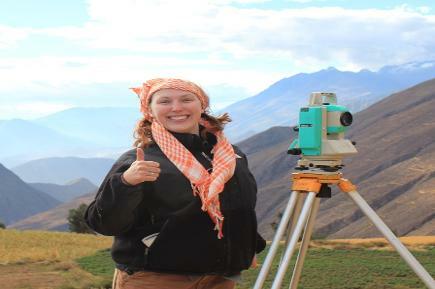 Kathryn has six years of field experience working in Peru as well as Ireland, with specialties in excavation, survey, total station mapping, and GIS. Kathryn has a B.A. in Anthropology from Vanderbilt University and a M.A. in Landscape Archaeology and the archaeological applications of GIS technology from the National University of Ireland - Galway. Her archaeological interests include households, landscape, and the use of space. Kathryn has been instrumental in the design and execution of PIARA's methodologies and goals and has been part of the PIARA team since 2009. Kathryn works closely with students in the field, teaching excavation, mapping and GIS. Kathryn designed the digital database that we use to collect our field data with iPads, and also manages the large amount of data that we generate through mapping and excavation. She will be attending the University of Alabama this fall to pursue her PhD. 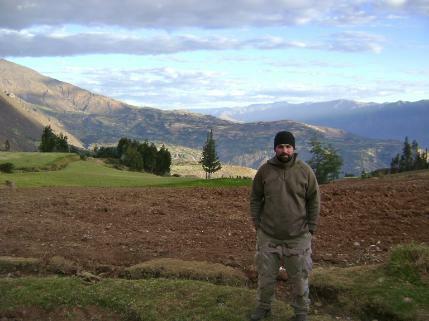 Chris has ten years of experience doing bioarchaeology in Peru and elsewhere. She uses a variety of methods to study population migration and paleodemography in the Andes, and has conducted fieldwork in several regions of Peru. Chris will complete her PhD in anthropology this year at the University of Tennessee - Knoxville and currently conducts forensic investigations for JPAC, identifying missing persasons of past wars. 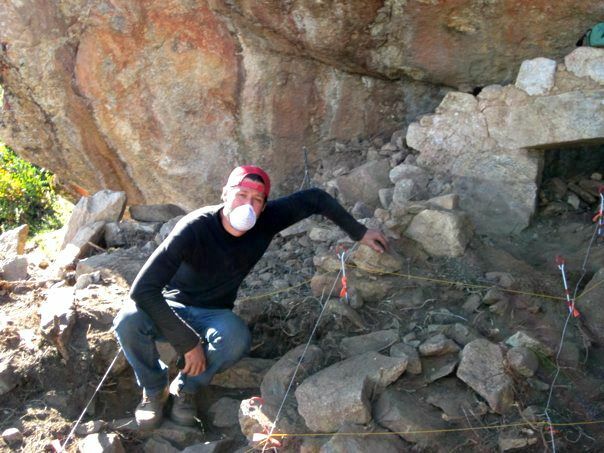 Chris began collaborating with PIARA in 2009 and serves as the primary bioarchaeology collaborator on the project. She will be leading the excavation and skeletal analysis of tombs at Hualcayan. Beth completed her B.A. in Anthropology and Spanish at DePaul University and will begin graduate studies at Purdue University in the fall of 2012. 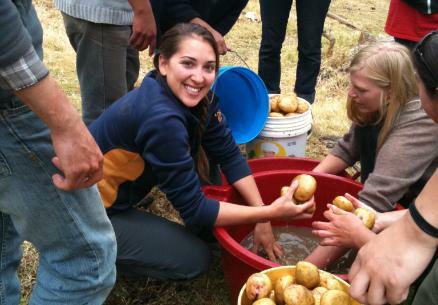 She has worked in the Andes for three years and has been with PIARA since 2011. 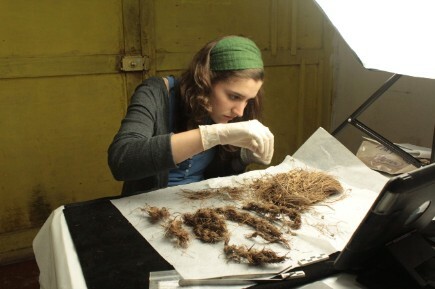 Beth specializes in textiles and other fiber-based perishables and is currently investigating the perishable remains from Middle Horizon tombs at Hualcayán. Her research interests also include craft production and its relation to gender ideologies and mortuary ritual practice in the Andes. During the 2012 field school, Beth will be leading a workshop on textile analysis and ancient Andean weaving techniques. Liz has over a decade of archaeological field experience beginning as a field school participant on a project in upstate New York and later as crew chief several years running for a project in St. Kitts, West Indies. She has several years of experience living and working in South America, having done her doctoral research on prehistoric skeletons from Chile and currently lives in Colombia where she consults and trains forensic professionals charged with excavating and identifying victims of the Colombian conflict. Her research interests include forensic anthropological topics and she is currently co-Principal Investigator on a project to develop biological profile standards for modern Colombians. In addition, the prehistory of the Andes, especially health as recorded in the bioarchaeological record, continues to be a major area of interest. She is co-editor of Research Methods in Human Skeletal Biology, to be published later this year. This will be Lizz's second year as a PIARA instructor. 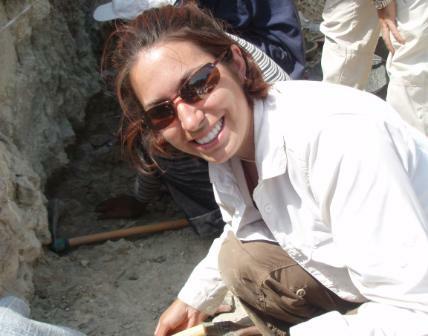 Emily is a bioarchaeologist with five years of field experience in Peru. 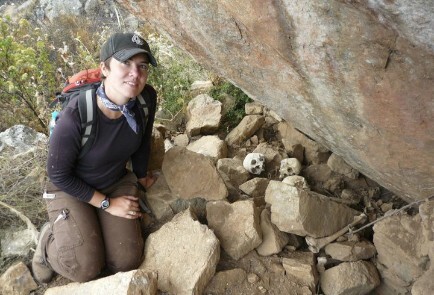 She received her BS in 2008 from Vanderbilt University, where she was involved with several archaeological projects in the south central Andes. Emily is now a graduate student at Arizona State University and is primarily interested in mortuary archaeology and stable isotope analysis. She is excited to return to Hualcayán this summer with PIARA. Julie came from a background in archaeology and then pursued a PhD in biological anthropology at the University of Michigan (2011). 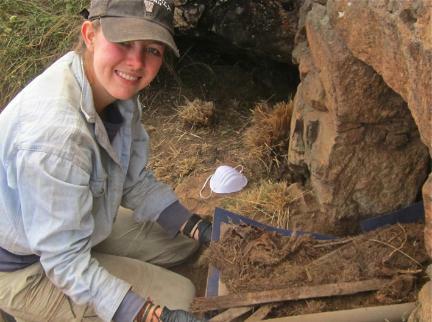 Her dissertation focuses on the diet and tool use of South African hominids nearly 2 million years ago. She has participated in excavations in Sicily, the Czech Republic, South Africa and Tanzania on sites ranging in age from Roman times to approximately four million years old. Julie currently lives in Chicago, IL where she teaches courses in biological anthropology at various universities including Northeastern Illinois University and Loyola University Chicago. She is super excited to get to do some archaeology again with the field school students of PIARA! Kimberly Munro is an archaeologist with seven years experience working for the United States Forest Service and the National Park Service. With excavation experience throughout the Southeastern United States and the Northern Coast and Central Highlands of Peru, Kimberly received her B.A. in Anthropology and Religious Studies, and her M.S. in Geographic Information Sciences from Florida State University. With interests in GIS applications in archaeology, remote sensing, landscape and settlement patterns, and coastal/highland interaction in central Peru, Kimberly will be starting her PhD in August of 2012. 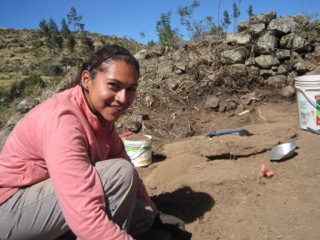 She joined the PIARA team in 2011, and looks forward to continuing this collaboration in the 2012 field season. Patricia is an archaeologist with a B.A. in Anthropology from Temple University. She has five years of excavation experience in CRM, academic, and public archaeology, working on a variety of historic and prehistoric sites in the northeast United States and joined PIARA at Hualcayán in 2011. Her research interests include the combination of oral history and archaeology, as well as exploring other ways of involving the public in archaeological investigations that pertain to their own heritage. Patricia is very excited to continue working the PIARA team this summer and meet this year's field school participants! 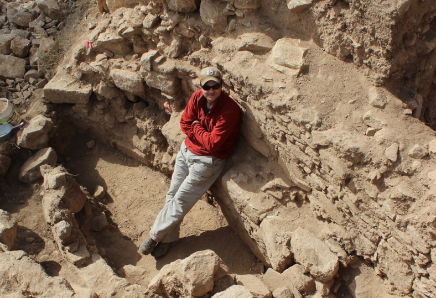 Craig is an archaeologist with extensive CRM experience in Colorado and throughout the Southeast. He currently works as the Cultural Resource Manager for Tyndall Air force base, Florida, and has spent two summers working on the northern coast of Peru and started working in the highlands with PIARA in 2011. Craig graduated in 2009 with an M.S. in Geographic Information Science, and his research interests include spatial analysis of settlement patterns, remote sensing, and interpretation of aerial photography. 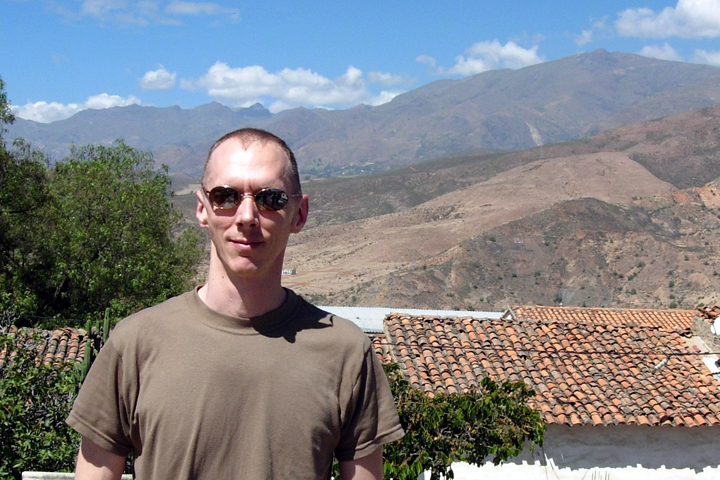 Craig is looking forward to returning to Peru this summer with PIARA. Jessica recently received her M.A. in Archaeology from Northern Illinois University focusing on demographic shifts through ceramic analysis in the Protohistoric period in New Mexico. She has worked in Mexico, Belize, Illinois, and Peru. Her interests include the prehistoric and historic indigenous societies spanning from the Southwest to South America. She is interested in looking at shift within and between community clusters. Jess is looking forward to returning to Hualcayán this season. Collin is currently a graduate student at Illinois State University, with a concentration in Historic Archaeology. Collin has several years of experience in archaeology, and has worked in Peru, Nicaragua, El Salvador, and the US state of Missouri. His current graduate research is focused in the illicit acquisition of Chinese ceramics from the Manila Galleon trade in Colonial El Salvador. He is primarily interested in the archaeological applications of Marxist theory during the contact and early colonial periods in Latin American history. Collin also maintains secondary research interests in Latin American prehistory, and is excited to return to Hualcayán this year as a crew chief. Rachel recently completed her B.A. in Anthropology and Art History from Vanderbilt University. 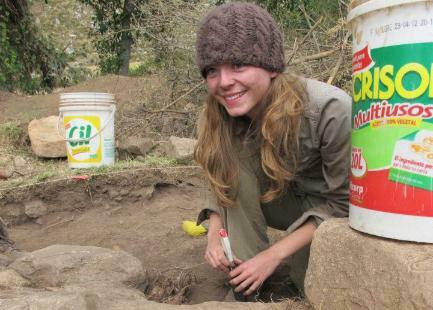 Rachel has been working in Peru for two years doing bioarchaeology research and has worked with PIARA since 2011. She uses osteological analysis to investigate how policies and practices of autonomous polities verses those of the imperial states may have similarly or differentially affected morbidity, physical activity patterns, and exposure to violence. Her research interests also include Andean mortuary practices and studies of the archaeological body as a material culture. She is excited to meet the field school participants and spend another summer with PIARA. Kai is an archaeologist who will complete his B.A. in Anthropology at University of North Carolina at Wilmington in May 2012. He’s currently working at UNC-W on a study to detect stress in post-colonial Moche people of coastal Peru, through patterns of enamel hypoplasia. Kai initially joined us in 2011. His research interests include bioarchaeology, site preservation and heritage, and GIS technology through use of aerial mapping techniques. Kai is wildly enthusiastic about returning to Peru an joining his extended family at PIARA in 2012. Andy will receive his B.A. in anthropology from Northern Illinois University in May 2012, and has worked with PIARA since 2011. Andy is returning this year as a crew chief and will be pursuing graduate studies in archaeology in 2013. 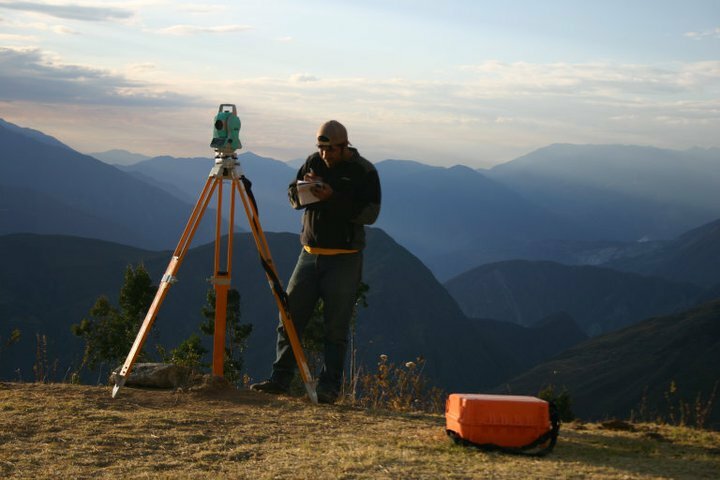 Andy's primary interests include survey techniques, total station mapping, GIS, and the analysis of architecture and space in the Andean highlands and the Southwest United States. Andy is excited to return to Hualcayán this summer and will be assisting field school students in total station mapping and excavation, as well as managing GIS data for the project. Nicolle is a forensic anthropologist with archaeological excavation experience throughout the United Kingdom. Nicolle received her B.Sc. in Forensic Science & Biological Anthropology from the Liverpool John Moores University in May 2010, and her M.Sc. in Forensic Anthropology from the University of Edinburgh in November 2011. Nicolle is currently working on her PhD in Forensic Anthropology, focussing on the facial soft tissue thickness in modern Europeans. Her research interests include virtual anthropology, cross-sectional and surface histology, the demographic analysis of past populations, and so-called Leibzeichen, mummified hands found in Germany. Nicolle is excited about joining the PIARA team in the summer 2012 and will be teaching skeletal analysis methods to field school students. Sarah graduated with a BA in Anthropology (Honors) from the University of Chicago in 2009, and has been pursuing both academic and CRM archaeology ever since. Her experience lies in the American Southwest, particularly the Four Corners, Great Basin, and Colorado River Plain culture areas. Her interests revolve around gender divisions in household archaeology and the legal and racial implications of “cultural stewardship.” Her favorite archaeological text is David Hurst Thomas’ Skull Wars and she is looking forward to her first field season with PIARA and its participants! Tamara earned a BA in Anthropology at UCLA in 2008. In recent years she has been working in the education sector for a community college in Huntington Beach, Ca, and she joined the PIARA team in 2011. She has traveled through Mexico, Costa Rica, Belize, Guatemala, Peru and the Philippines, while her study of Anthropology has led her through research projects in Egyptian, Filipino, and South American cultures. 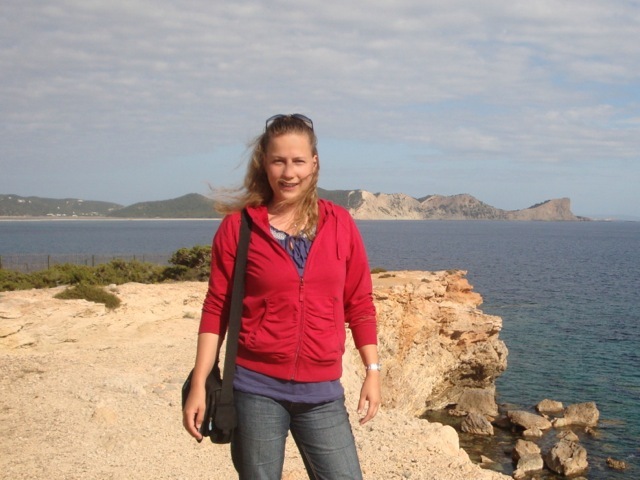 Tamara's professional, educational, and anthropological background has led her to develop an interest in the connections between archaeological projects and communities, sustainability and tourism. Her archaeological interests are rooted in the material record, ethnoarchaeology, and expand into the virtual reconstruction of sites. This season, she will be conducting research on Hualcayán's ceramics, focusing on attribute analysis and reconstruction. She looks forward to collaborating once again in Hualcayán this season! 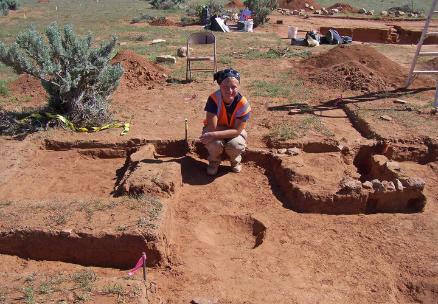 Kristal graduated with a BA (Hons) in Archaeology from the University of Western Australia and is currently working as an Archaeologist/Cultural Heritage Advisor in Melbourne, Australia. She has participated in archaeological projects throughout Australia as well as in Amarna, Egypt and Pessinus, Turkey, and has recently returned from a volunteer project (with The Cambodian Kids Foundation) in Cambodia. 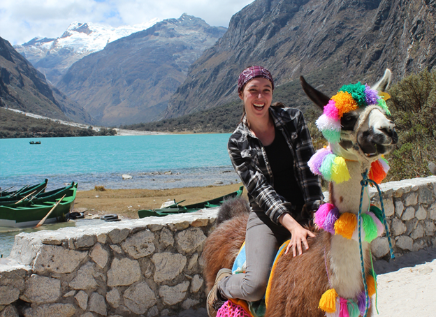 Kristal has always been fascinated with Peruvian culture and is excited to be joining the team at Hualcayán in 2012! Steven “El Guapo” Treloar will receive his B.A. in anthropology from Kansas State University in December 2012, and will continue pursuing graduate studies in archaeology in 2013. Steven’s research interests lay in prehistoric ritual architecture and systems of exchange in the Southeastern United States and in the Andes using a variety of methodologies, including total station mapping, surveying, GIS, and architectural analysis. Steven has worked with PIARA since 2011, and is returning this year to collaborate on an intensive mapping project at Hualcayán to conduct analysis on the use of space at Hualcayán using total station mapping and GIS data management. 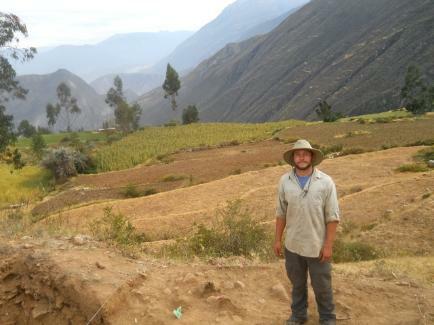 Steven truly enjoys Peru and is ready to spend the summer at Hualcayán! Braeden is currently working through his B.A. in anthropology with a minor in geology at New Mexico State University. He is interested in the uses of geological testing in determining the source material of lithic tools and ceramic pastes. Currently, he is working on using petrographic analysis to differentiate rhyolite sources found in a lithic assemblage from a Mogollon site in the Southwest US. This summer, he will be collaborating with PIARA to examine the change in interregional action and manufacture of ceramics in Hualcayan during the Formative period. To do this, he will use petrographic analysis of the ceramics associated with ritual feasting from excavations done on the ceremonial platform at Perolcoto, complimented by a geologic survey of the Hualcayán area. Kate is working towards her B.A. 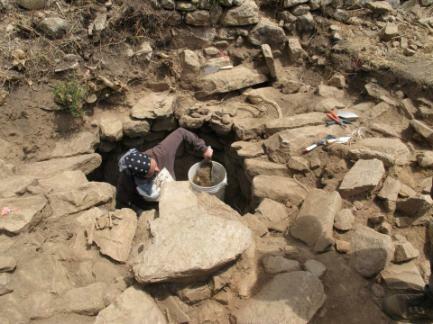 in archaeology at the University of Wisconsin – La Crosse, which she will receive in May 2013. She is interested in researching ancestor veneration within the context of the landscape, specifically what the spatial layout and construction of burial tombs can reveal about the practice of ancestor veneration in the Andes. Kate has been with PIARA since 2011 and is excited to return! This summer she will doing research mapping the location and construction of the tombs at Hualcayán as well as the canals and other features within the greater landscape in order to determine how the spatial layout can be used to interpret the role ancestors played in Hualcayán. Alejandra holds a Bachelor's of Arts in Anthropology from DePaul University. Her interests lie in Latin American culture and society, community outreach, and female empowerment. She has volunteered with various community organizations throughout Chicago, IL, and it is important for her to work with a community she feels passionate about. She currently volunteers with Centro Romero, a non-profit in Chicago, offering free English classes to immigrants. Alejandra is fluent in both Spanish and English, and she looks forward to returning to Peru and working with the community of Hualcayán, coordinating and teaching English classes to students and adults.